Spring is around the corner and we have some useful and unexpected tips to use vinegar around the house! Looking to hide your outlets and switches? Debating whether to buy that air purifier? Questioning which pipe to use for what project? We’ve got you covered! YARDMAX “POWER TO BE DONE” SWEEPSTAKES WINNERS ANNOUNCED! Congratulations to our winners of the Carey Bros. Pros “Power to be Done” sweepstakes presented by YARDMAX! Congratulations to our winners Anthony, Stephanie, and Brian! Brian won the YARDMAX 5.0 Cu. Ft. Concrete Mixer worth $349.00! Stephanie won the YARDMAX Plate Compactor 90kg Class B&S XR950 6.5HP/208cc Recoil worth $699.00! Anthony was our grand prize winner receiving a YARDMAX Power Trackbarrow with Gas Shock Assist – Hopper worth $2,599.00! Visit their website here to purchase one of these amazing tools for yourself! Another unexpected use of vinegar came from our listener Lori in Farmington, New Mexico! She suggested using vinegar and steel wool to stain wood. Check out the video below that shows you how! Local building codes say we have to have so many outlets every so often. And switches are just a necessity of life. So what do we do about them when it comes to hiding them or at least minimizing the impact they have on our kitchen or bath design? You don’t have to ruin a perfectly good backsplash by placing white outlets and switches right in the middle of a beautiful tile pattern. Put them in a secret compartment. You can hide an outlet behind a little trap door. When you need the plug, just open the door and plug in the appliance. This is especially handy on an island. Hide them in plain sight. What outlet? I don’t see an outlet. Imagine a bright white outlet and plate cover on this beautiful island. It would be an obvious eyesore. By specifying a brown outlet and cover, the service disappears. Any good wallpaper hanger should be able to cover a plate cover in the wallcovering so it simply goes away in the pattern. Group outlets and plugs to minimize the busy-ness. Placing outlets and switches in groups serves dual purposes. First, it can put the proper amount of outlets where you need them most. Why put a random plug somewhere it might never be used? Also, as in this case, the size and placement can be part of the design. By grouping these services in three, the plate cover is nearly the same size as the glass tiles in this backsplash. It’s a nice little trick to keep in mind. Work the outlet into the design. Outlets and switches in their standard locations would detract from the look of this vintage-style bathroom. By turning the outlet to the horizontal position, the tile setter was able to work it seamlessly into the tile pattern. It melds into the tile rather than sticking out like sore thumb. In a kitchen, moving the outlets to a lower, horizontal position helps keep them out of the design-critical parts of the backsplash. And because you won’t have long cords snaking up to a higher plug, they’ll be mostly out of sight when in use. Specify a special plate cover to match other design elements. My mom always said, “If you can’t fix it, feature it.” That is the exact sentiment behind the decision to use sleek stainless-steel plate covers for the switches and outlets in this contemporary kitchen. Mirrored plate covers make outlets cut into mirrors almost disappear. Tuck the outlets under the cabinets. If it is really important for you to not see any outlets in the backsplash, then consider running a plug strip behind the under-cabinet lights. This removes the unsightly plugs completely. Spring is around the corner, and most people are excited because that means sunny days, blooming flowers, and warmer temperatures. But, I see spring as watery eyes, itchy noses, and absurd amounts of money spent on whatever medication dulls the misery best. 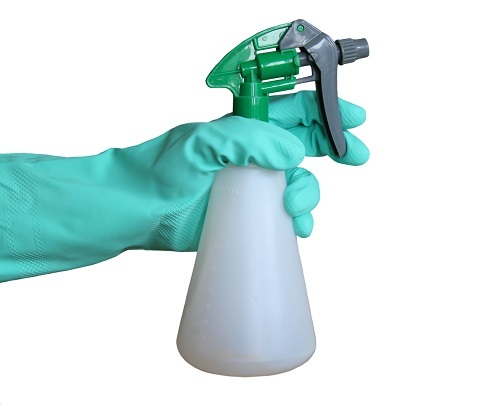 Prevent the spread of mold – Areas that have high levels of moisture often have mold as well. 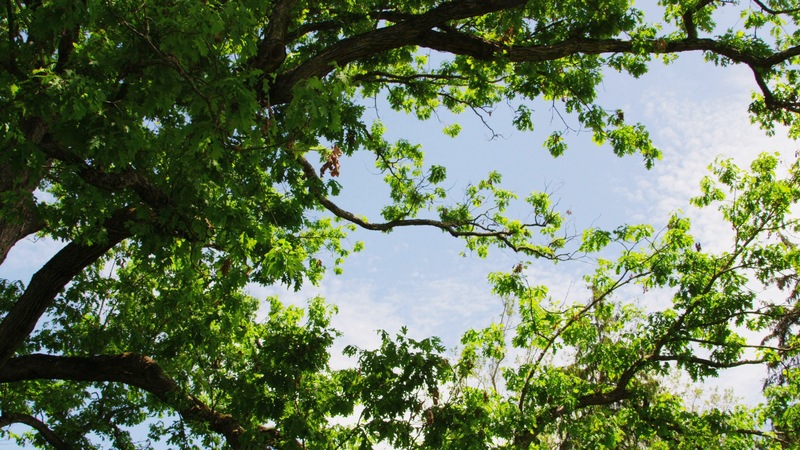 Mold is a fungus made up of spores that can fly through the air and stick to other objects. An air purifier will trap these spores within the filter preventing them from spreading. If you have pets – Do yourself a favor and get an air purifier with a HEPA filter. You may not know it, but pet dander can be the culprit to your mystery allergies. If you have Asthma – An air purifier can trap the incoming throat-tightening allergen and prevent it from spreading throughout your house. If you’re a smoker – The toxins in smoke are not only harmful to humans and animals, but they are almost impossible to get rid of! Smoking outdoors and having a whole-house air purifier is the best way to prevent your home from smelling like the Vegas strip. If you have allergies – An air purifier may be your best bet to not waking up feeling like you ate a plate of pollen with a side of dust. Whole-house purifiers coupled with a smaller bedroom purifier could be the dynamic duo you need to get through this allergy season. Your home plumbing system will have different types of piping materials for different uses, including fresh water supply, waste drainage, irrigation, gas pipes for appliances, and so on. Which type is used in which application will largely depend on the age of your plumbing system. An older plumbing system may be dominated by cast iron and galvanized iron, while a new home will have plastic pipe of various types used almost exclusively. Cast iron for plumbing waste lines. Used for main soil stack waste lines and vent pipes. PVC (Poly0Vinyl Chloride) for plumbing waste lines. Prevalent Use: Use for sanitary waste lines, vent pipes, and drain traps. Chromed brass for plumbing waste lines. Chromed brass is often used in lieu of PVC for exposed waste line applications, such as “P” traps or other drain traps where appearance is important. Chromed copper for water supply lines. Chromed copper pipe is often used where the appearance of exposed water supply lines is important. Galvanized iron for water supply lines. Galvanized iron pipe was once a popular method of plumbing water supply lines in the home, but it gradually fails due to corrosion and rust. For this reason, it is no longer commonly used and has been largely replaced with copper pipe or PEX plastic pipe. Copper (rigid and flexible) for water supply lines. Copper pipe comes in two types, rigid and flexible. The rigid type comes in several wall thicknesses: K, L, and M. Type M is the one normally used for water supply pipes. Copper has proven itself over the decades to be corrosion resistant and very reliable. CPVC (Chlorinated Poly-Vinyl Chloride) for water supply lines, and is an inexpensive rigid plastic that is designed to withstand high pressure and hot and cold temperature. PEX (Cross-linked Polyethylene) for water supply lines. Typically blue (cold water) or red (hot water) or white flexible plastic pipe. PEX is made of cross-linked HDPE (high-density polyethylene) polymer and is an incredible piping material that has been in use since the 1970s. PEX is strong and flexible, withstanding temperatures from below 32°F to 200°F. PEX is corrosion resistant, and unlike copper pipe, will not develop pinholes. Black Iron for gas pipes. Black pipe looks like almost exactly like galvanized iron pipe, except it is darker and specifically designed for gas applications: natural gas or propane supply pipes. It is often used for feeding gas supply to the furnace, boiler, or water heater. I have an almond wall hung toilet and the tank is cracked. I cannot replace it with a floor mounted toilet because it is on the second floor of my home and I cannot find a new almond wall hung toilet to match all my other bath room fixtures….. Help! A benefit of a wall-hung toilet is that it provides the bathroom with clean lines. The lines that are created by the wall hung toilet helps turn the bathroom into a stylish room that can complement the rest of your home’s decor. This is accomplished by concealing water outlets and other aspects of the toilet that make it stick out and appear to look like an eyesore in the bathroom. Another pro of having a wall hung toilet in your bathroom is that it takes up a minimal amount of space. Because it is hung to the wall it takes up no floor space like a conventional toilet does. This allows you to install the toilet in any convenient space near a water source in order to open up the space more for other decorating ideas. Among the biggest cons related to a wall hung toilet is the cost. A wall hung toilet has a greater cost than the conventional toilets. This cost does not include installation and other costs associated with hanging the toilet on the wall. A wall hung toilet can also come loose over time due to the pressure exerted on the wall mount. This may require constant adjustment and rehanging by a qualified plumber, which can become expensive. You may also experience more leaking from these toilets in comparison to the floor mounted toilets, which again will result in more repair costs. 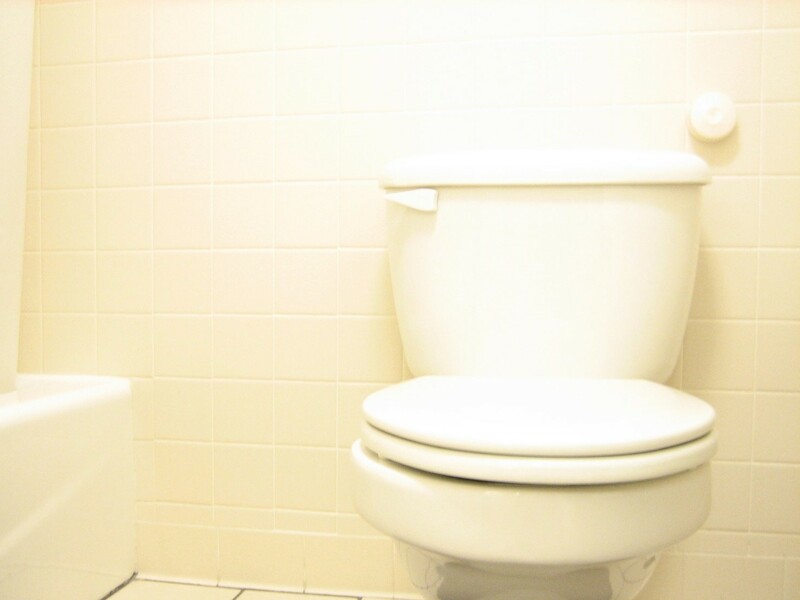 Wall hung toilets are not as popular in the United States as they are in European countries. 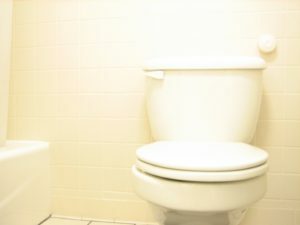 For a homeowner who chooses to have a wall hung toilet installed in their home, consideration should be given to the advantages and disadvantages of this type of toilet. If you are cost conscious buyer you may want to choose a conventional floor mounted toilet as oppose to the more expensive wall hung toilet. Comparing costs is just one of the things that you should do before deciding on a wall hung or floor mounted toilet. Go to a kitchen and bath store and look at the different models that are available and test them out for look, feel and how it may work in your bathroom.